for the best clinical outcome possible. of quality care for our patients. Need to make a payment on your account? You can pay online securely. It’s easy and convenient. crucial role in helping patients achieve and maintain the highest quality of life and rehabilitation goals. of spinal, upper and lower limb orthotics and prosthetics. George Boutross is an ABC Certified Prosthetist / Orthotist and fellow of the American Academy of Orthotists and Prosthetists. 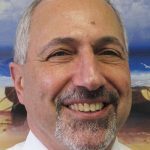 As the Director of the Braintree office, George brings 32 years of experience to the practice. 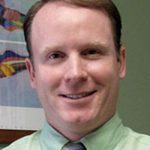 John Zakrzewski is a certified Prosthetist, Orthotist with expertise in prosthetics and orthotics. His clinical strengths include upper and lower limb prosthetics, with expertise with myoelectric and microprocessor technology integration. John also specializes in adult foot and ankle orthotic management.